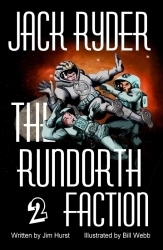 Part 1: In this first part of a two part series, Jack was just an ordinary thirteen year old boy who grew up in a space freighter, but an attack by space pirates set him on a course toward a confrontation against the pirate faction leader himself: Rundorth. A clean, fast paced adventure that readers young and old will enjoy. Free Preview: Read the free preview (Adobe pdf) of the first three chapters! Order at your local bookstore (ISBN: 1411625757), or online at BarnesandNobles.com and Amazon.com, and Booksamillion.com. For a complete list of over 30 online stores that you can order from, go to www.bookfinder4u.com. 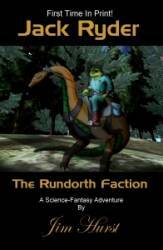 Part 2: The adventure continues in this sequel Jack Ryder - The Rundorth Faction 2! Follow Jack upon graduation from the Ranger Corps as he heads toward his final confrontation against the dreaded evil pirate Rundorth! The combined editions of Jack Ryder - The Rundorth Faction Part 1 & 2, with Part 1 fully reillustrated by Bill Webb! 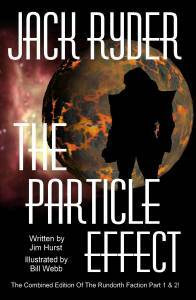 Free Preview: Read the free preview of the prologue and first 3 chapters online!